The University of Minnesota Crookston (UMC) Women’s Basketball team was unable to overcome a 30-7 deficit after one quarter in an 84-71 loss to Minnesota State in an NSIC game played at Lysaker Gymnasium. 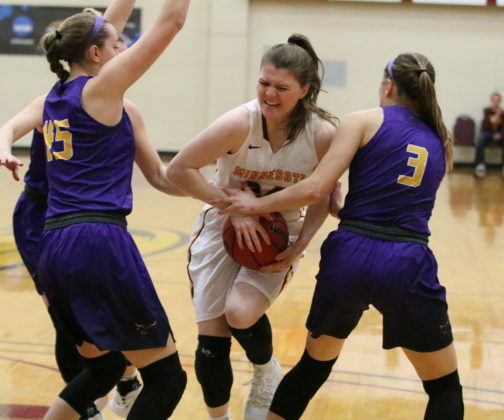 Minnesota State opened up their lead back to 49-31 to open the second half with a three-pointer with 7:38 to play in the third quarter pushing the Mavericks’ lead to 54-35. A Caitlin Michaelis lay-up sparked a 4-0 run bringing the Golden Eagles back within 54-39. 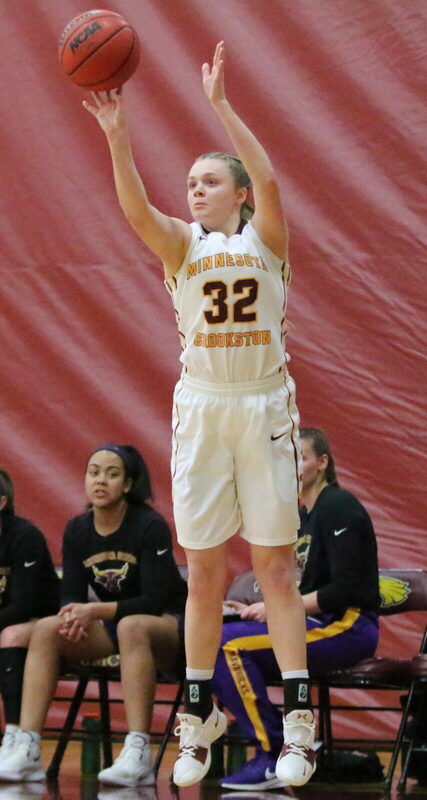 Paige Weakley made a three-pointer pulling Minnesota Crookston within 56-42, followed by a Bren Fox (Fr., Norwood Young America) free-throw bringing the Golden Eagles within 56-43. With 3:28 left in the quarter Caitlin Michaelis made a three-pointer cutting the deficit down to twelve. 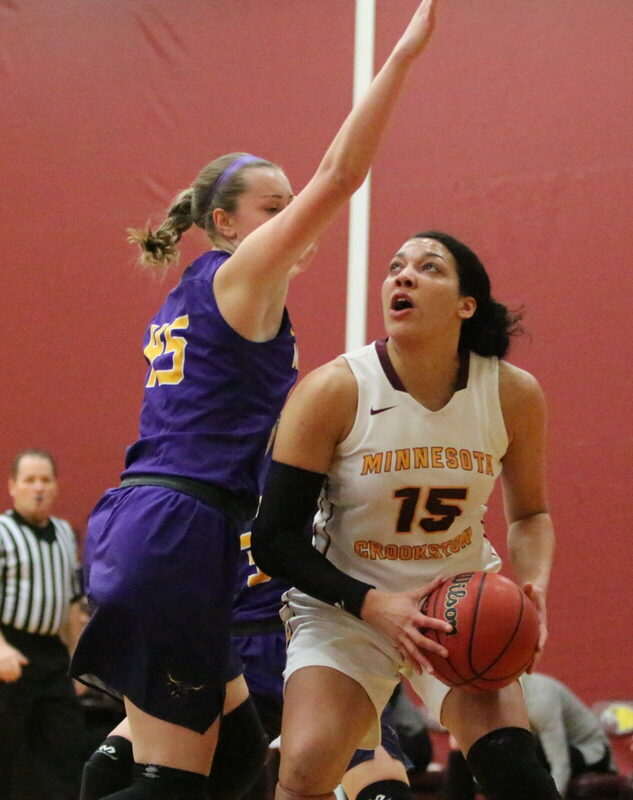 Paige Weakley scored five straight points followed by two Isieoma Odor free-throws pulling Minnesota Crookston within 62-55. 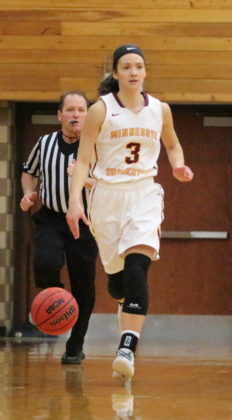 Kylie Post made a free-throw to close the third quarter with Minnesota State’s lead down to 64-56. 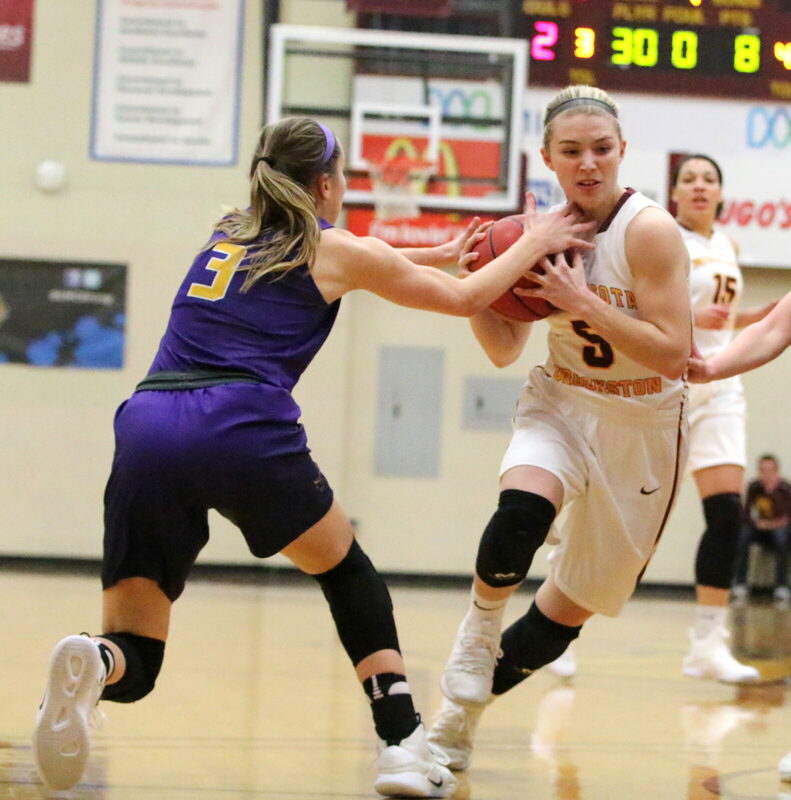 Minnesota Crookston falls to 10-13 overall and 5-12 in NSIC play. The Golden Eagles return to the court on Saturday when UMC hosts Concordia-St. Paul at 3:30 p.m. on KROX. Minnesota State improves to 10-11 overall and 7-10 in conference games.